Obituary of J. 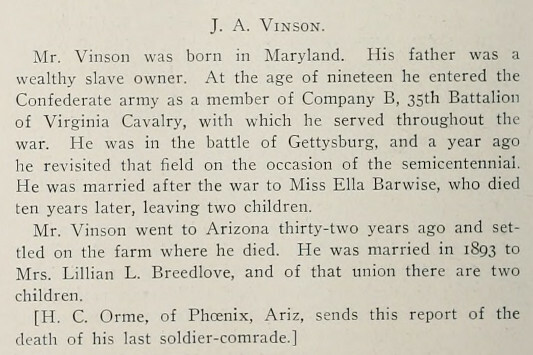 A. Vinson, Phoenix, Arizona. SOURCE: Confederate Veteran Magazine, December, 1914.